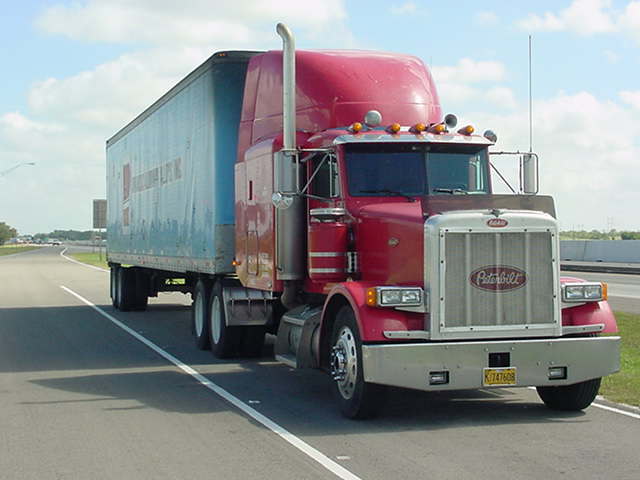 If you haven’t noticed by now, truckers drive their rigs in a fundamentally different way from your average commuter. The main reason for this is the size and weight of their loads, which make it driving a truck more difficult, but a secondary benefit of driving like a trucker is better fuel economy. How do you drive like a trucker? Driving with load: Because truckers are often carrying heavy loads, they simply can’t make it up hills at the same speed as smaller vehicles. This is why you’ll often see truckers crawling up hilly interstate passes in the right lane. Then to make up time they pick that speed (and a little more) back up on the downhill. Traffic light timing: Starting a truck from a dead stop is a difficult task, so when trucks are in stop and go traffic you’ll notice them crawling painfully slowly up to a stop. This helps them let traffic clear out in front of them so they can avoid actually stopping completely and begin accelerating again in a higher gear. Follow the path of least resistance: As I’ve already emphasized, acceleration both positive and negative can be difficult with a truck. So, on the highways trucks tend to stick together in the right lane where they can cruise at a steady pace without much swerving around and jostling for position like many drivers are often do during their daily commutes. 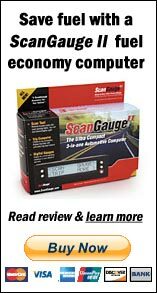 How can you emulate these practices for better gas mileage? Driving with load (DWL): Since you don’t drive a truck, you probably can get your car up a hill at or above the speed limit, but this doesn’t mean that you should. Typically in DWL you will allow your car to bleed speed uphill and then regain it downhill, within +/- 5 mph of your target average speed. Make sure that your bleeding and acceleration are smooth however, as it is advantageous to back off the throttle only a little going up hill so that you’re not quickly decelerating. You can DWL with even bigger changes of speed, but this is not recommended in traffic or on single-lane roads since it can be quite a pain for other drivers. I personally limit DWL to deserted back roads and multi-lane interstates. Traffic light timing: Traffic light timing can be difficult depending on the circumstances, but with a little time and attention it is one of the most useful driving techniques around. Next time you are on your commute or a commonly traveled road, try to pay attention to the lights. Do some of them have cross walk signs? How long do they stay red for? Are they timed or camera-triggered? With this information you can learn how to time lights so that you never actually stop. You can anticipate red lights in a number of ways using available information. If a crosswalk signing is turning to stop or cross-traffic is lined up waiting, it is a good bet that the light may be turning red and you can begin a coast to the light. Likewise, if a light has been red for quite a while and there is already traffic piling up at the light, you can slow down early and approach the light slowly, waiting for the light to change rather than arriving sooner and slamming on the brakes, which will avoid stopping altogether. The path of least resistance: This tip is pretty much the same as how truckers do it. Stick to the right lanes unless you’re in a busy road like DC’s beltway, where ramps every several hundred meters mean constant slowing and speeding up to let other drivers on and off the road. So there you have it! Now you can drive like a trucker and save some gas while you’re at it. I have never quantified the affects of these techniques in normal driving, but I can assure you they add up to much more than just a few percent MPG gain in my normal commute. Happy ecodriving! I agree 100%. Now if I can just get my wife to go along with it. When she’s riding next to me I get these reactions. I try to educate her, but she still just thinks I’m wasting valuable time and just getting to our destination later. great blog! I was brought up by a trucker. I even had a 3 speed auto lugging. Today it is finding an engine designed for torque more than crazy rpm (the torque number will exceed the hp number if you are searching). Not many do this today. Inline transverse, the number one sale for economy, has no concept of it at all. Quite backwards, and difficult to drive with discipline. An old boxer engine, like my nickname, is famous for this very quest…make taller gears and go with it..like a trucker. the next traffic bottreneck reveals the integrity of patience…every time. I drive a truck for a living. Good info. Another thing that has come around is progressive shifting, where you only rev the engine high enough to shift into the next gear, in the lower gears. As you gain speed and get into the higher gears, rev the engine a little more with each gear to get the power needed. Truckers still use CB radios, and there are good compact ones that can easily be used in a 4-wheeler if you don’t want a big antenna stuck to your vehicle. Listen on channel 19 for a while and you’ll be able to get info on speed traps, lane closures, etc. My pleasure. It’s amazing how much of a difference can be made with driving habits. Trucks have gotten more aerodynamic for the sake of fuel mileage, but I’ve seen drivers get 7 mpg out of fully loaded (80,000 lbs) Freightliner Classics, the ones with the long, square, very UN-aerodynamic front ends. Road speed and engine load make a huge impact on fuel economy.